When’s that train coming? Everyone’s rushing past me, the platform’s spinning, everything’s spinning really, and my head’s bursting with pain. Everything seems to be flying by at an extreme pace, but these fifteen minutes on a train platform in Tilburg somehow seem to never pass by. Fifteen excruciating minutes and all the while I haven’t got a clue what the hell’s going on. Eight years ago. I was still suffering from severe pain on a daily basis from my chronic neck injury and trying out all kinds of pain killers. It was one of the – luckily – rare experiences I’ve had with something resembling a panic attack. I didn’t know what was going on or how I would ever get back home to Utrecht, a fifty-minute train journey North. Somehow I managed to board the train and text my girlfriend to come meet me at Utrecht’s train station. I took a muscle relaxer and tried to sit with my eyes closed the whole way back. Why am I even writing this? Well, the first session of 2019 is with the magnificent American singer Liza Anne, who was really very honest and open about her anxiety on her record Fine But Dying. So I felt maybe I should do the same. I honestly don’t know if it was a panic attack I experienced, at the time I thought it might be a migraine or something else, but in hindsight it just might have been one. At least it gave me an understanding of what it must feel like to have one. Liza Anne filled in the gaps with her brilliant songs. 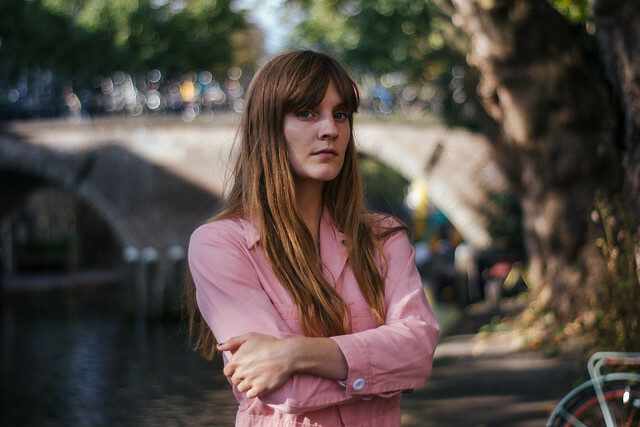 We met up in Utrecht in September 2018, just before she joined Ray LaMontagne on tour as support – on the first day of her very first European tour with her band, and filmed three songs at Kytopia, in the room of the famous former Tivoli venue. and if your gift is to make people. feel. something. do not cover that in apology. do not lie. to accommodate others’ fear of feeling.